Visiting Colonial Mazda in Danbury, CT will be the easiest way to have this question answered for you. We have a wide selection of tires from Bridgestone, Dunlop, Goodyear, and other top brands, we are sure that we will be able to help you get a set of tires that will be perfect for your vehicle. We see some pretty harsh winters here in Connecticut, - and even over into Brewster, NY - which is why we recommend that you purchase winter tires before the snow starts. Winter tires are designed to help you get the best traction in all wintry conditions - including ice - so that you will be able to drive confidently. While winter is on the way we want to remind you that there is no substitute for safe driving, so be sure to slow down and let your new winter tires safely take you where you need to get. How Do I Know that I Need New Tires? There are several DIY tests that you can do to see if you are in need of new tires, but if you want to be completely certain, any of our trained experts would be happy to let you know if there is life left in your tires. We will help you search our selection of tires to make sure you are getting the right size and type of tire for your car, truck, or SUV. We are always eager to explain anything that you need some clearing up on, especially when it comes to parts of the vehicles that are essential for your safety and the safety of those around you. 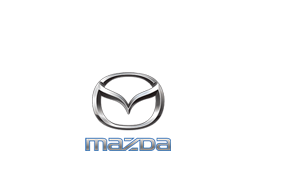 We have helped many customers from New Milford, CT and Ridgefield equip the perfect tires onto their Mazda model, and we are ready to help you too! If it isn't your time for new tires just yet, we have a fully-stocked parts department with genuine Mazda parts and a service center that can help you get scheduled for routine maintenance or other work that you might need. Everything that we offer is to help you get the best performance from your vehicle while you are driving any highway around Bethel!